Crispy beancurd skin ngoh hiang, minced pork, prawns, water chestnut - always good to start with ngoh hiang, and these were sure tender and tasty thanks to the fat and the crunchy water chestnut. Crispy pork belly, pickled mustard greens, chincalok - how can I say 'no' to pork belly? These were very, very tasty. 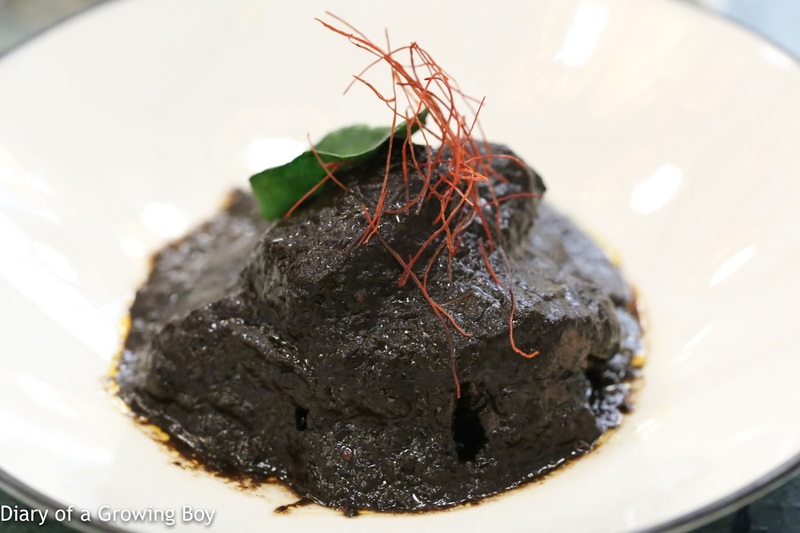 While the pork belly itself wasn't exactly Peranakan, the chincalok certainly added that local flavor. Quail satay - we were recommended to order this since this was "only available tonight". Well, these were tasty for sure, and the flavors were pretty heavy - spicy and smoky. The minced meat was very tender. But something was missing here... and it was the gamey flavors of the quail itself. 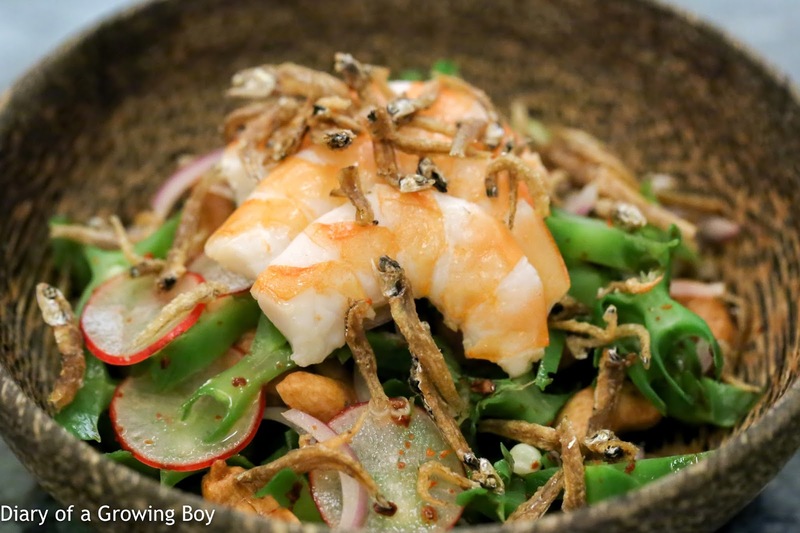 Wing bean salad, baby radish, lemongrass, cashew nuts, prawns, calamansi lime dressing - a little bit of green veg for us, with shallots and ikan bilis. 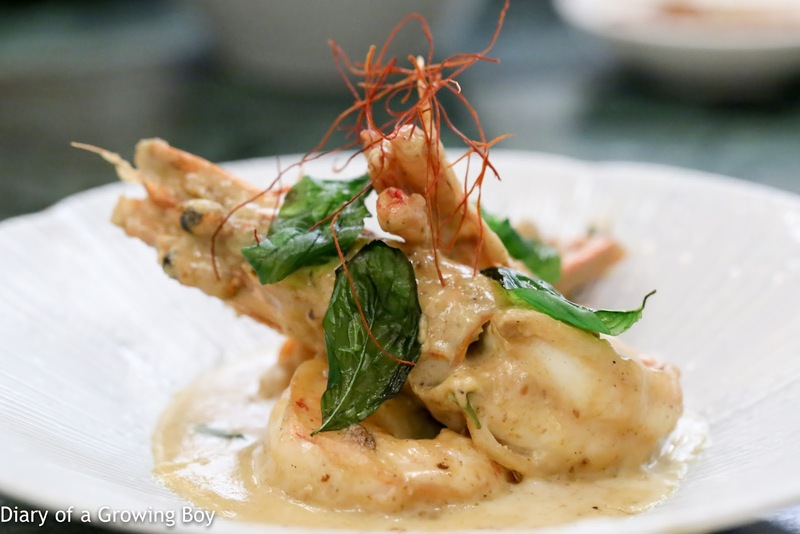 King tiger prawn, gula melaka coconut sauce, lemongrass, Thai basil - I'm a gula melaka addict, so when you tell me that you're adding it to a savory dish, imma try it out for sho! Well... this was a little disappointing to say the least. We were warned that there were only two prawns per portion, but I only wanted to have a taste of the sauce. Hello Kitty thought the prawns were overcooked, but the real shame was that there wasn't much more beside the sweetness in the thick, creamy coconut sauce. 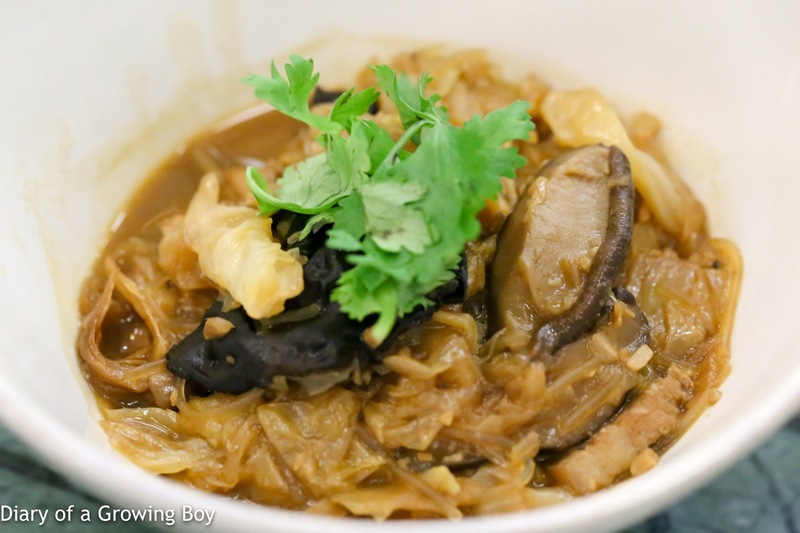 Chap chye, braised cabbage, black mushroom, lily bulb, black fungus, vermicelli - Hello Kitty wanted veg, so we ordered this classic dish. 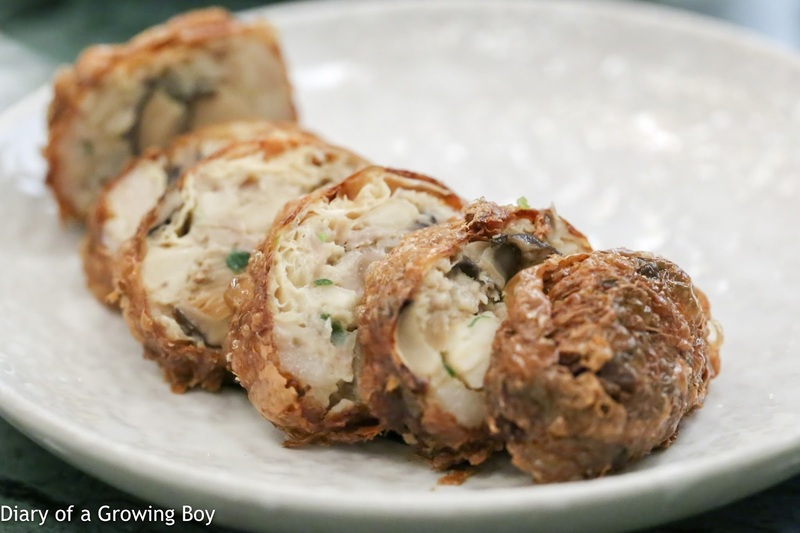 Tons of umami here from the mushroom. Turns out the flavors were too heavy for her, and the Cantonese girl in her preferred dishes where she could taste the flavors of the veggies - which isn't the case here after extended braising. 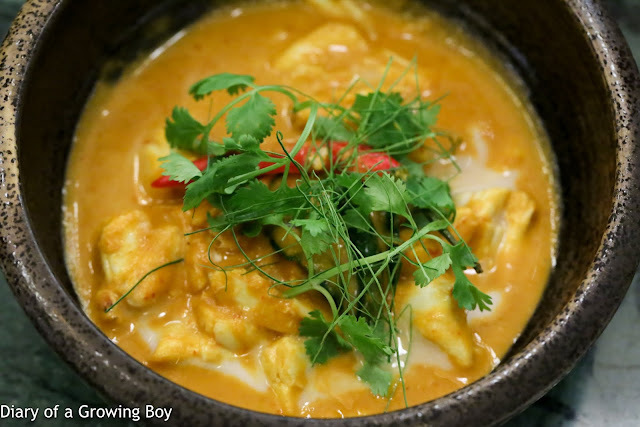 Blue swimmer crab curry, turmeric, galangal, kaffir lime leaf - I haven't had this since my very first visit 3 years ago, because I felt it was a lot like David Thompson's crab curry. This time, though, it was a little more interesting with plenty of acidity (perhaps from calamansi? ), and the spicy kick was a lot more prominent. 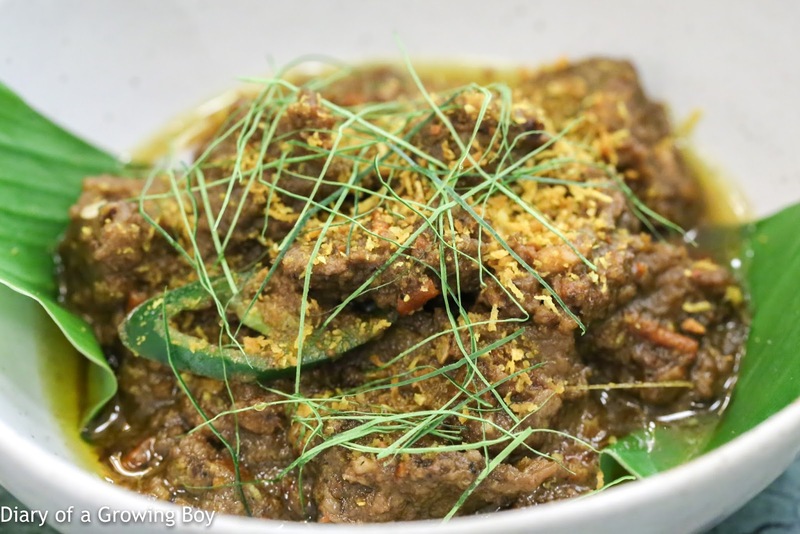 Rangers Valley wagyu beef short rib rendang, serunding, turmeric leaf - by far the best savory dish of the evening. Flavors remain very layered and complex, and we're glad we continued to order the rendang on every single visit. The only issue is that the portion size has clearly shrunk - judging from my visit 6 months ago. Rangers Valley wagyu beef short ribs, buah keluak stew - Mr. Ho's favorite dish, and it was still pretty good. The heavy flavors were once again a little much for Hello Kitty, and she found it a little one-dimensional - which isn't an unfair criticism. 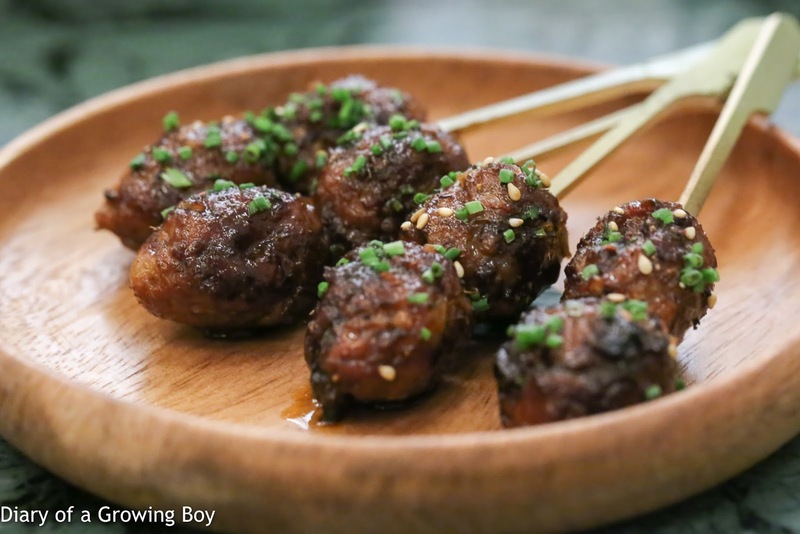 But anyone who loves tender beef and strong flavors would find this appealing. Chendol cream - how is this not the perfect version of chendol?! 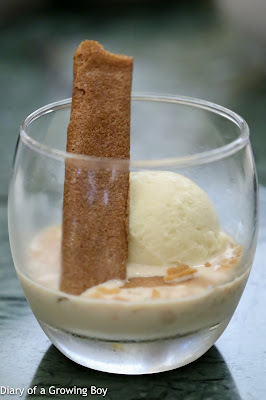 That soft and fluffy coconut panna cotta sitting at the bottom... that alone would have been satisfying enough for me. 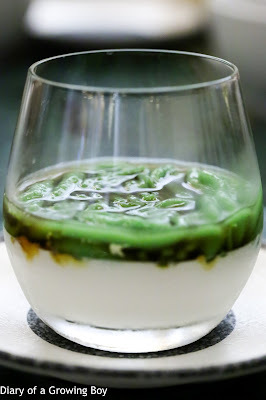 Add in the savory pandan jelly, and the rich gula melaka, and I instantly turn into the Cookie Chendol Monster! I was so so so so so happy! This is something I could eat everyday. 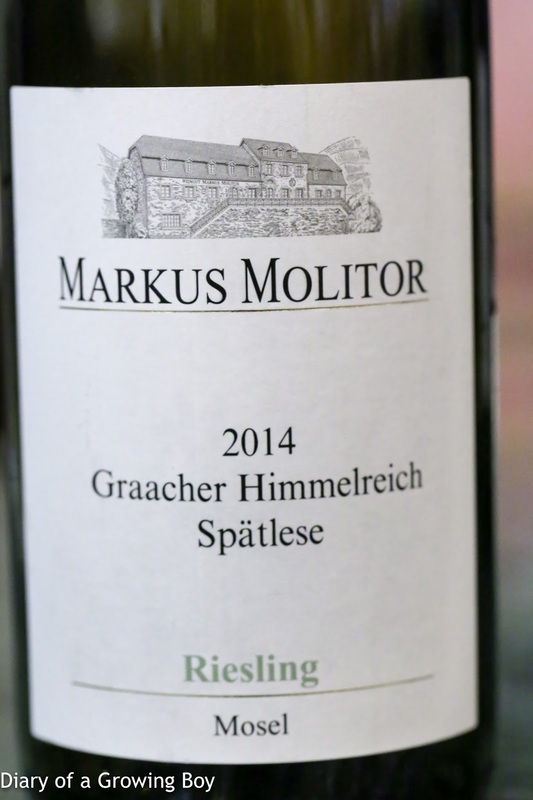 2014 Markus Molitor Graacher Himmelreich Riesling Spätlese -very floral nose with lychee notes. Nice minerality here. 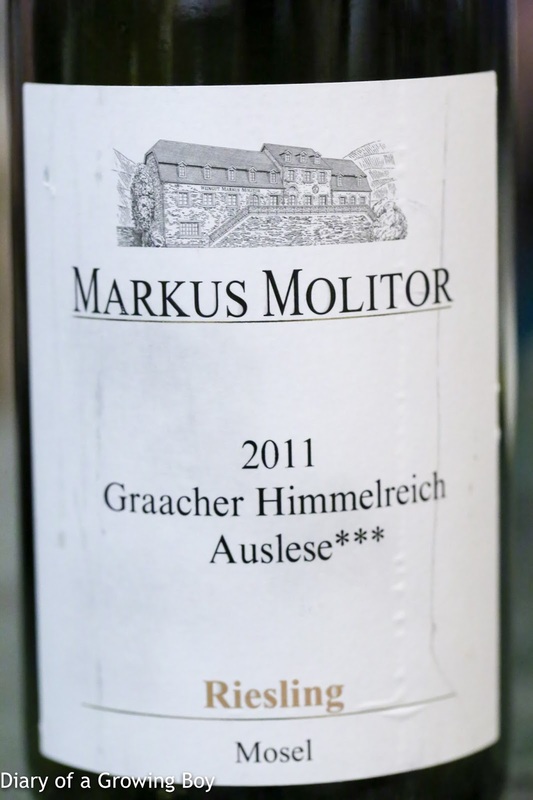 2011 Markus Molitor Graacher Himmelreich Riesling Auslese*** - very sweet. A little more mineral and plastic, with a little more flint, honey and pineapple. Very round on the palate. We had a pretty good time, and happy that Malcolm has been recognized for his efforts. He certainly has a lot of heart and I wish him continued success. But based on our experience tonight, I do wonder whether the recent changes will be good for him... or at least, for my future dining experiences at his restaurant.